Where is Western Sahara and what's going on over there anyway? Looking at maps of the world, one will usually notice that one little area in Africa that has no data; that one area that is not colored. That area is located in the northwestern part of the Sahara, and often creatively called, “Western Sahara”. There is a reason it isn’t colored. Western Sahara is one of the largest disputed land areas in the world, being claimed by two sides: the Moroccan government and the Saharawi people. Originally, the area called Western Sahara was claimed by different groups of people and tribes. Then colonization came along, and Africa was split up divided by the many countries of Europe. Western Sahara, specifically, was given to Spain. After the UN made clear its opposition to colonization, many European countries left Africa. Spain stuck around for a while but eventually they did leave Western Sahara, and the land was up for grabs. Mauritania to the south and Morocco to the north both claimed it. While all of this was going on, the natives of Western Sahara, or the Sahrawi, wanted the area to be their own country. Fighting ensued mainly by Morocco and the Polisario Front, the group leading the Saharawi, until Morocco had control of the majority of the land. Mauritania then gave up its claim and now it’s just the two groups. 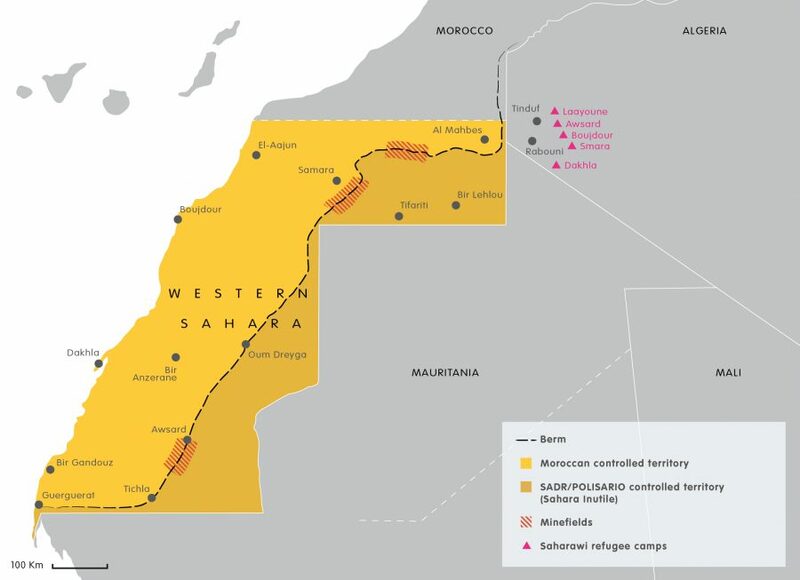 Today, the area is awkwardly broken up with most of the North West (along with the majority of the coastline and resources) going to the Moroccans and the rest going to the Saharawi. As natives, the Sahrawi clearly have more of a right to the land than Morocco. Morocco is also too hostile and stubborn to make any compromises. Most people have heard of Kosovo, Taiwan and Tibet, all places in which a group of native people strives for liberation from their overbearing parent country. There is somewhat popular freedom movements for all of the disputes listed above, and yet the movement for the Saharawi Arab Democratic Republic has backing from Algeria and almost no other country. The native people of a land deserve access to the resources in their land, and they deserve full jurisdiction in their land. Morocco refuses to hold a referendum or do anything productive about the situation. So, now, hopefully to you, Western Sahara is more than that one gray spot on maps. Hopefully, it’s now what it has always been, the outcome of years of struggling—the unfinished mission of the Sahrawi Arab Democratic Republic.